Hello everybody. 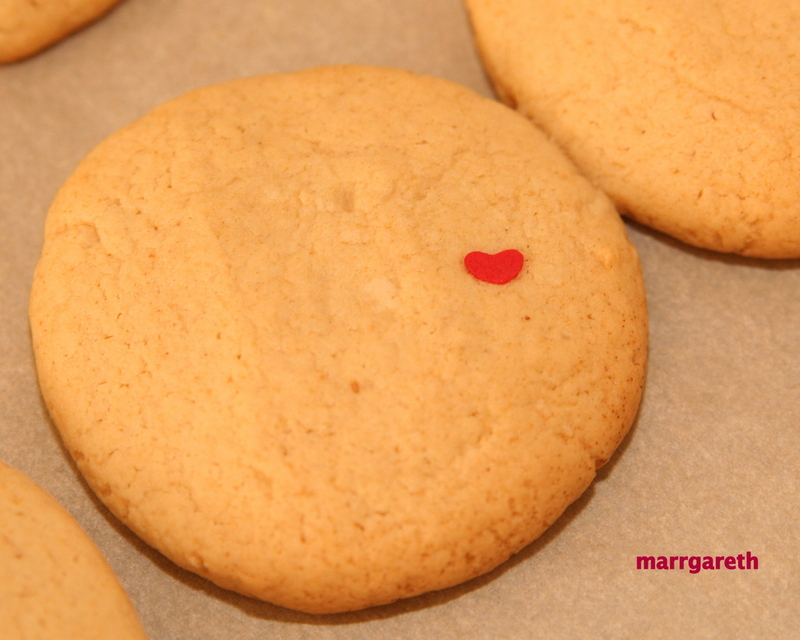 Today I want to share with you my new recipe for peanut butter cookies. The recipe does not contain eggs or cow’s milk, like all the recipes on my blog. 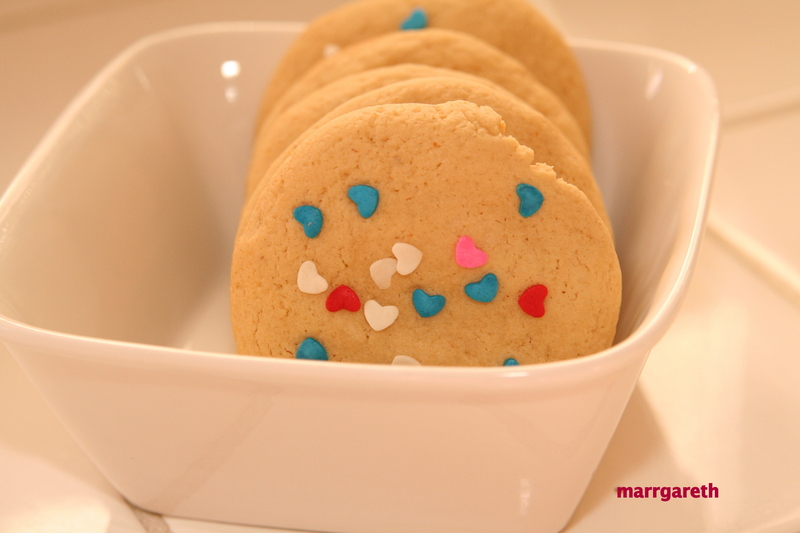 Valentine’s Day is coming to town soon, so this is the Valentine’s Day version of the cookies. 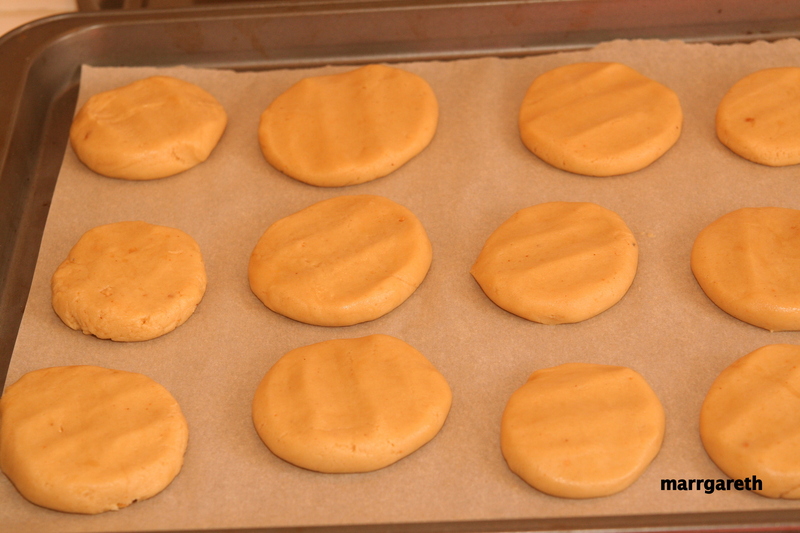 The tutorial how to prepare the peanut butter cookies is below. 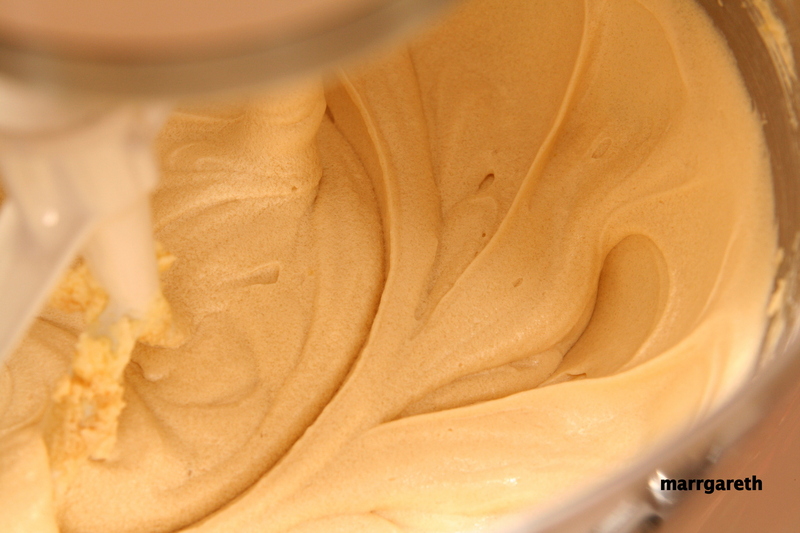 Put the ingredients from 1 to 3 (margarine, white sugar and brown sugar) in a large bowl. 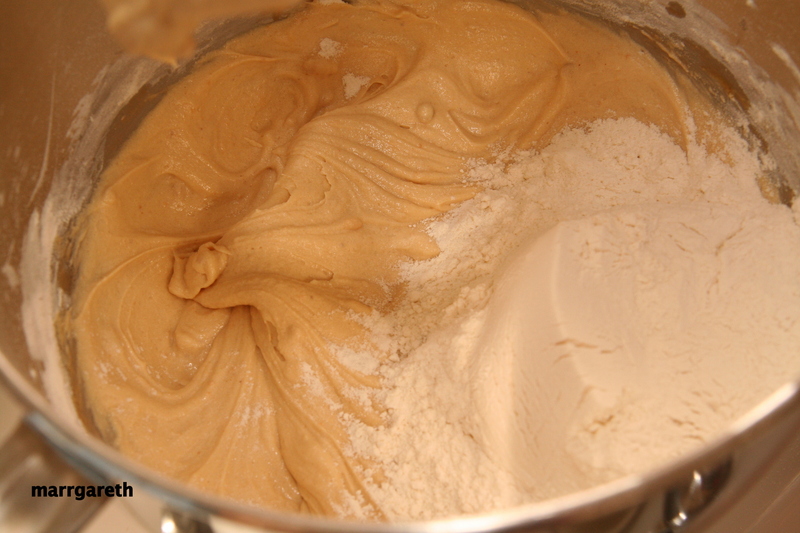 Mix using a hand mixer until fluffy, it will take about 4 minutes. Add ingredients from 4 to 7 and mix well for about 1 or 2 minutes. If you can eat eggs, substitute soy milk and potato flour with one egg. 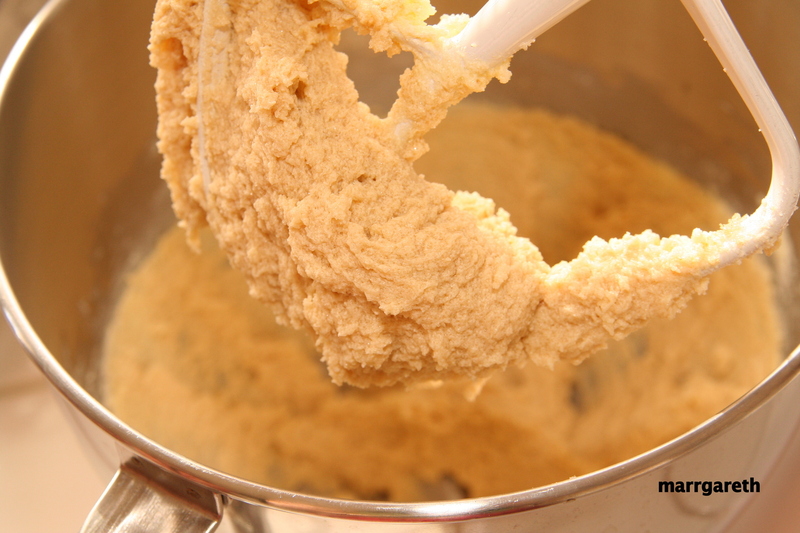 Mix batter well for 2 minutes after you add an egg. Add ingredients 8 and 9 then mix. Stir in the flour gradually. 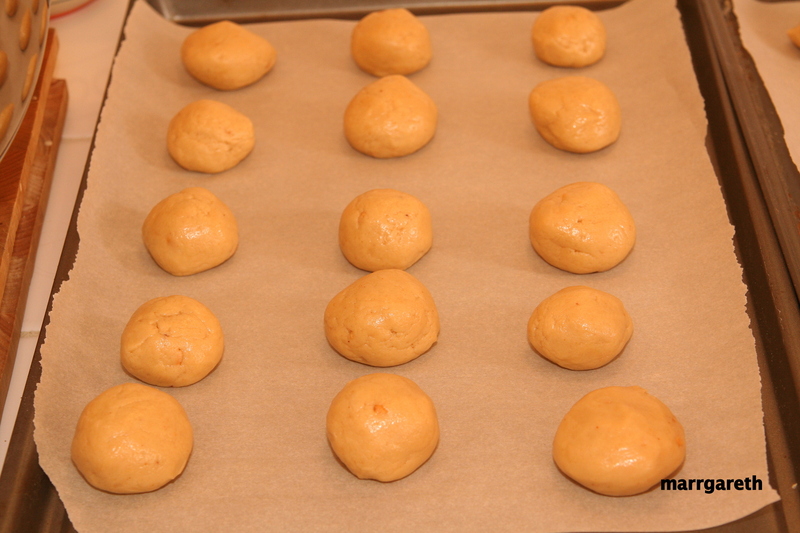 Form balls the size of a small tangerine from the dough. Children will enjoy forming the balls from the dough. If you have little ones, invite them to the kitchen to help you. 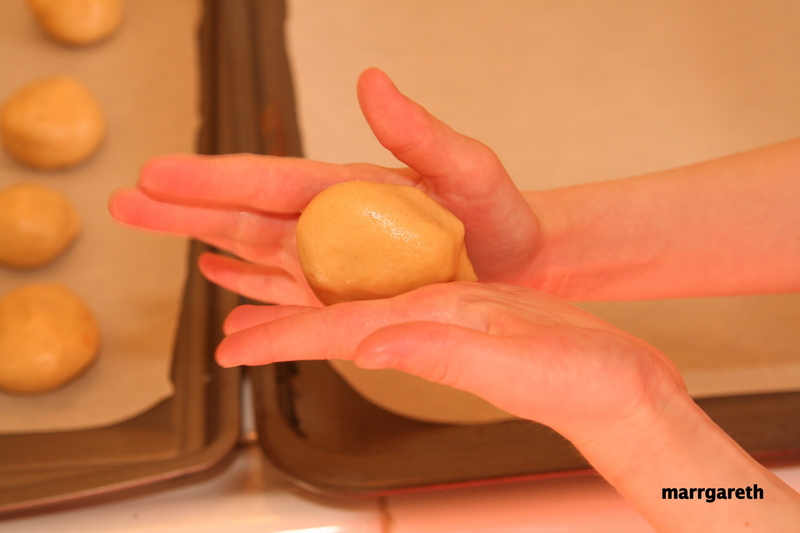 Place the formed balls loosely on a baking tray lined with parchment paper. Press the balls using your hand or a bottom of big glass so they are thick no more than 1 cm. Now, if you want you can sprinkle them with sugar or any other cookie sprinkle. 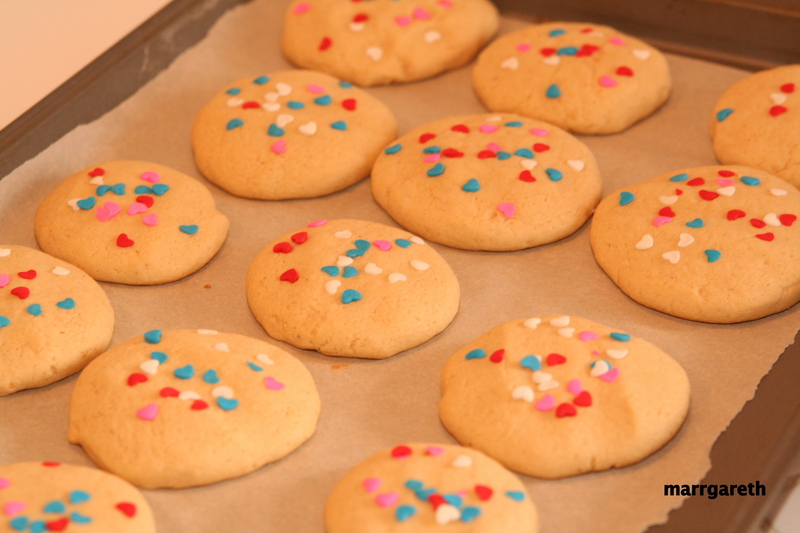 Bake the cookies in an oven preheated to 180 ° C (350 ° F) for 10 -15 minutes. Baking time depends on the thickness and size of the cookies, and of course the oven. 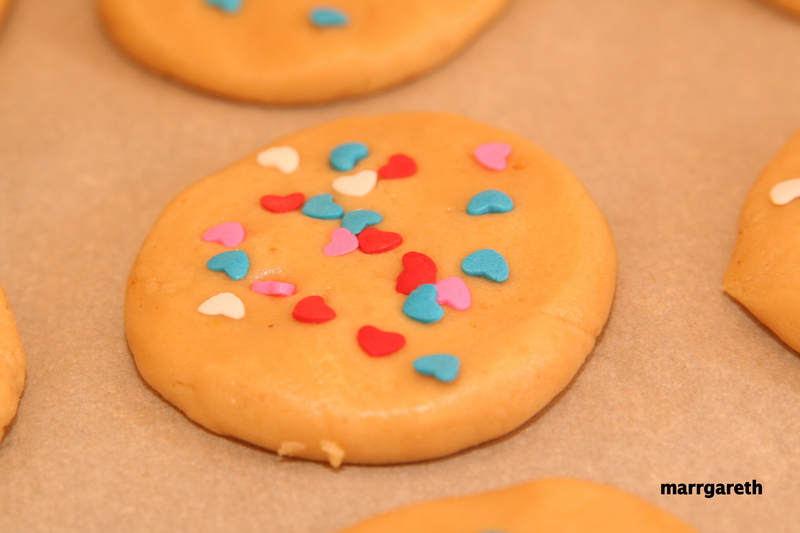 Baked cookies will have golden-brown bottom. You can make about 28 large cookies from this recipe. 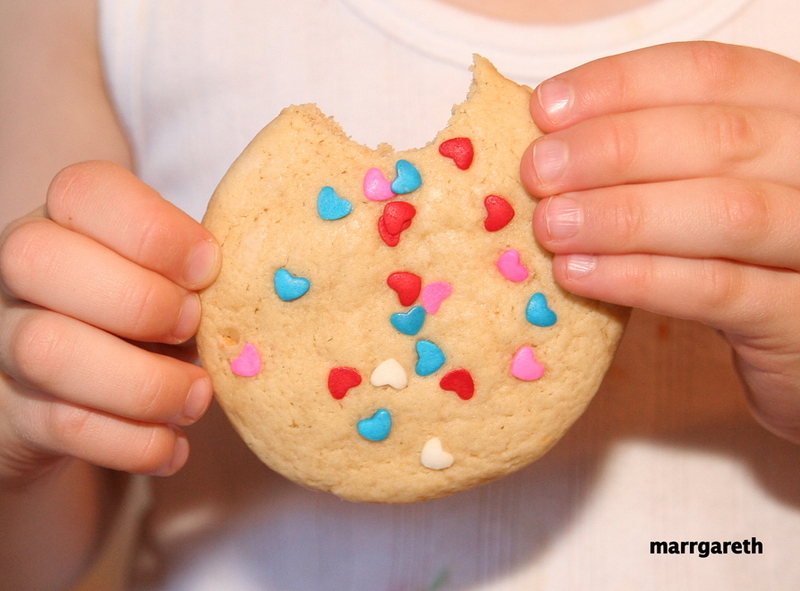 And one more thing: a cookie for my husband.